Their third studio album, ¿Con Quién Se Queda El Perro?, has already achieved Multi Platinum status in Mexico. ¿Con Quién Se Queda El Perro? - Deluxe features the original recordings from the standard version, including the smash hits "Corre" and "La De La Mala Suerte." In addition, the deluxe version includes six additional recordings featuring some acoustic performances, the upcoming third single, "Llorar,&$34; featuring the lead singer of Camila, Mario-Domm. Also featured here is a cover version of John Lennon's "Imagine." This album was recorded and produced in London, England by Martin Terefe. 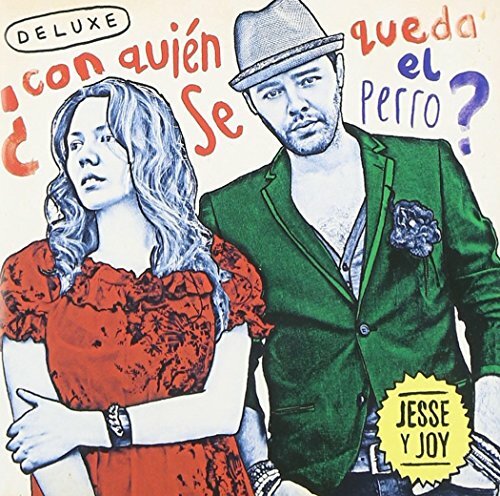 All music and lyrics were written by Jesse & Joy.